France in London | How to get from London to Paris? Speed, price or comfort? How to get from London to Paris? Speed, price or comfort? Eurostar, coach, 5 in a car...: what are the best means of transport to get from London to Paris? In an ideal world, we would all be perfectly organised, reserving our holidays months in advance and our travel tickets with them. In this perfect scenario, Eurostar tickets would be cheap as chips and would therefore be your first port of call: speedy, comfortable and hassle free, the Eurostar remains the easiest way to cross the Channel. So what are your other options? And, more importantly, which one should you pick? Well, the price is definitely alluring, with prices starting for as little as £25 on Eurolines Coaches, the only international company that gives this service (http://www.eurolines.co.uk/). But you need to be aware that your travel can be full of unpleasant surprises with that. I had the displeasure of trying it out first hand when I was recently attracted by their highly competitive prices - but would I recommend it? To put it bluntly: no. Unlike with trains, when you know more or less what to expect, travelling by coach is completely unpredictable due to the array of external factors. First of all, your travel will basically depend on your bus driver and the final destination and the route taken to get there. Be careful not to plan other connections at the end of your coach travel because sometimes you can arrive in Paris or London several hours late. First, you will have to spend the first hour crossing London. Then, after having travelled through the English countryside all the way to Folkestone, you will experience the endless wait to board one of the Eurotunnel trains that carry buses and cars using the Channel tunnel. You will then need to go through two passport controls (something relatively quick when you are going by car but not so when travelling by bus…). Then, when you are finally ready to board a train, be prepared! Forget the idea of taking the bus if you are claustrophobic because it is the best way to have an attack! For 35 minutes you will feel oppressed and bothered by the increasing heat of the bus. While the cars can open their windows, the bus can't and will get progressively warmer! Once on the road again, do not expect to be able to relax during breaks, the driver will have no qualms in giving you only 5 minutes to go to relieve yourself after 5 hours on the bus. I have also heard that some unlucky travellers were forgotten by their driver who had forgotten to carry out a head count. The fact is that while the coach prices fluctuate in a very reasonable way, the Eurostar tickets price can increase dramatically as your travelling date gets closer. So, if possible, plan your travel in advance. This will ensure that you will travel at a reasonable price and more comfortably! To give you an example, for a single journey from London to Paris on the 3rd August (peak period during the holidays) by coach, it will cost you £41 when by the Eurostar it will be £112! But for a journey on the 16th November, that will be £25 by coach and a very reasonable £39 by the Eurostar. No doubt about it, the £14 difference is definitely worth it. Apart from these two options you will also have the possibility of sharing a car with someone, to go by boat or by plane. I do not have personal experience of these solutions; so please feel free to give your own verdicts! Even when traveling by car, as by coach, is a bit long and can sometimes be risky due to the traffic. But carpool is mostly popular for being one of the cheapest ways to travel and it is also a great way to meet people and share experiences. The risk can be that you won’t know until the last minute if you are going to share the travel with a lovely driver or a tiresome one… But if you want to have a carpool experience, I suggest you to go on www.blablacar.com or www.covoiturage.fr for the French version. This is one of the most popular website for carpool. It is well done, clear and easy to use. And it has the added bonus of proving you with all the information you want to know before sharing a car with a stranger. Knowing who you will travel with is really important and for this reason, the website has designed its service to allow people to know each other as much as possible. This includes a series of information such as your affinity with music, smoking, pets and of course the famous “blabla” icon that defines how chatty you are... The really positive thing about this website is that people rate their previous journeys and all this information comes directly on the driver’s profile. It definitely helps make you feel more confident about planning a journey with a driver when you see he has already got twenty great comments from former passengers so happy about their previous trips with him/her. 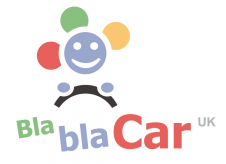 Generally, a passenger using BlablaCar can travel from London to Paris for 40€ (£35). Not always the most comfortable but definitely the most fun! Certainly not a recommendation if you want to get from London to Paris. Even if it must be a great original experience, crossing the Channel by ferry seems to be a long and difficult journey and it is expensive. 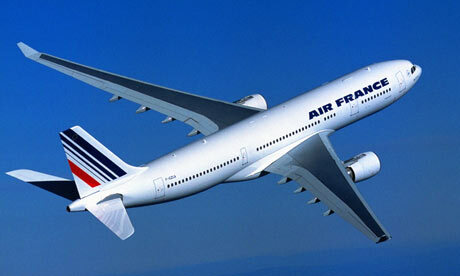 You will need to buy separate tickets for the UK train, the ferry, and the French train. First you will have to take a train from London to Dover. Regular trains run from London Charing Cross to Dover (Priory station) every 30 minutes and journey time is 1 hour 50 minutes. On arrival at Dover Priory station, you have to take a bus, taxi or a long walk (around 30-40 minutes) to Dover Eastern Docks where the P&O & SeaFrance ships leave. Then, sail from Dover to Calais by P&O ferries.The ferries arrive at Calais Maritime ferry terminal. Finally, take a train from Calais or Boulogne to Paris. 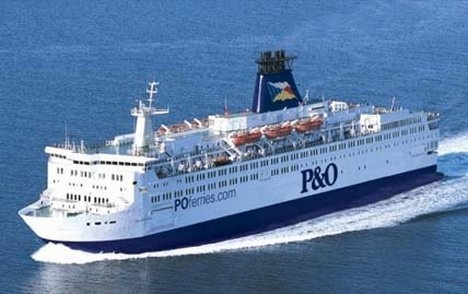 There are relatively few trains between Calais or Boulogne and Paris, so it is the timings of these few French trains that will determine which of the frequent British trains and ferries you need to catch between London, Dover & Calais or Boulogne to connect. So, what are my recommendations? There you have it, those are my top three, but what are yours? From £37 to £140 (standard great value, non-flexible and non-exchangeable). What if none of those work out? Several months ago I booked a Eurostar trip with a friend, non-flexible non-exchangable tickets, to travel next week. Unfortunately work commitments mean that my friend now can’t travel. Another friend is interested in travelling instead but that raises other problems. I have spoken to Eurostar who officially say that nothing can be done but unofficially the employee pointed out that the only place that names on tickets might be matched with passports is at Brussels/Paris (and possibly also St Pancras) inbound by the UK Border Agency. They also noted that the Border Agency is concerned with stopping illegals not UK nationals coming back into UK and that the info on Eurostar tickets does not relate to Advanced Passenger Information (API) as used by airlines as no passport or nationality info is sought when booking tickets. Additionally I work for the UK Government and have regular dealings with UK diplomats in Brussels. I am aware that many of them have used Eurostar tickets in names other than their own, apparently without any issues. Furthermore there are websites in France and Belgium which resell Eurostar tickets; presumably while non-contract compliant such resale must be non-problematic or such sites would not exist – true or false? I know this site does not encourage anything illegal but would just ask if anyone has experience of travelling on Eurostar recently using in tickets in names other than their own and, if so, did any problems arise? My second friend is keen to come but concerned he could end up stranded abroad! I want to travel by Eurolines bus from London to Brussels and I am Non-Eu national so can someone let me know where the passport control will take place? Will i pass by the French passport control and they do the same as they do at airport? Do they put stamp on passports? 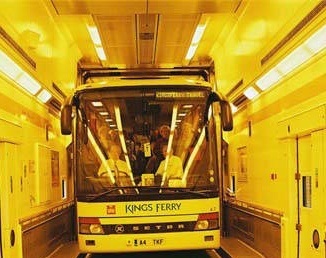 Each time I took Eurolines coaches we weren't taking Eurotunnel but the Ferry. Other alternatives are Megabus, and now ID bus. which is the best way to travel in november and the cheapest? article seems out of date when the focus is also on climate change emission. Even the Sncf tells u the amount of CO2 and compares between the solutions...Encore un effort svp ! dont forget that you cannot carry as much luggage on the plane as you can on Eurostar where you can also take beverages and your cosmetics in all sizes. 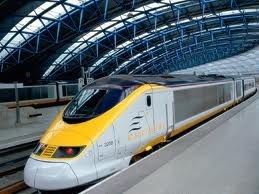 Eurostar is definitely the best but can be very expensive in high peak times and if not booked long in advance. The carpooling option looks really interesting. I think I am going to try that the next time.